Emanuel Exports has had their licence permanently cancelled by the regulator. One of the world's largest exporters of animals will no longer be able to operate. Today, as we remember all of those who've suffered, we breathe a sigh of relief for the countless animals who will be spared a horror journey. 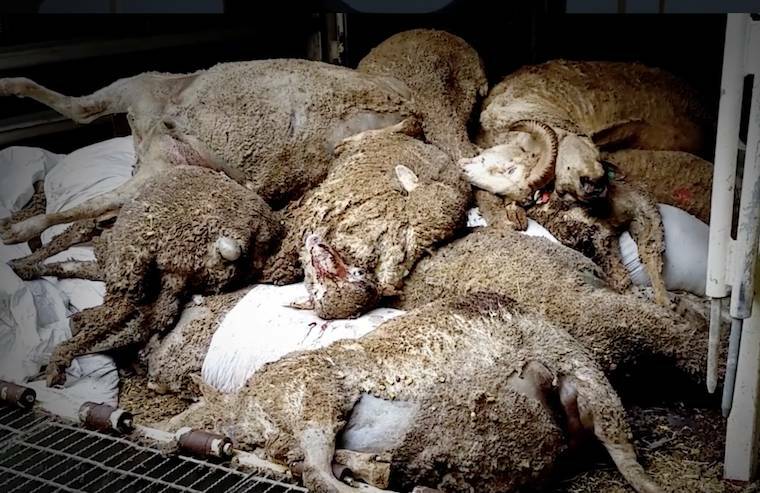 Today we awoke to some truly great news in our ongoing campaign to save sheep from the horror of live export. Emanuel Exports has had their licence permanently cancelled by the regulator. One of the world's largest exporters of animals will no longer be able to operate. This company (and its directors) has been responsible for shipping the majority of the 200 million sheep that have been sent to the Middle East over the past forty years. Over 1.5 million defenceless animals have died on their vessels – and through the courage and compassion of a crewman Fazal Ullah – the world now knows the egregious suffering that this company was willing to accept for decades. My own journey with this company started shortly after joining CEO, Glenys Oogjes at Animals Australia in 2003. It is Emanuel Exports that was responsible for the Cormo Express disaster where over 5,000 sheep perished, and it was their shipment that I met in Kuwait City in November that year, on which over 1,000 sheep had died. While in Kuwait, I witnessed firsthand the brutal treatment that this company was prepared to expose millions of sheep to, for decades. The directors of Emanuel Exports have been responsible for some of the worst mass death events in the trade and the associated suffering that we now understand so fully. In 2006 we had them found guilty of cruelty in the WA Magistrates Court. We lodged legal complaint after legal complaint against them and generated media exposé after media exposé. And this year, we took this export giant to the Federal Court on behalf of animals. Animals Australia has battled this company for the past 15 years, and on each occasion that we revealed the suffering they were responsible for, we took them ever closer to the brink. So today, Emanuel's day of reckoning, has been a long time coming. It has been a David and Goliath battle throughout many years — and 'David' today has won. They may have had the 'power' and millions of dollars at their disposal. But we have been 'armed' by the glorious kind hearts of our generous supporters who have been prepared to back every courageous and compassionate action we have taken over those years. As you well know, this is a journey that asks so much of us. It's one that is only for the strong-hearted because the ark of justice is truly long. But I have never lost faith that justice would prevail. That's because every day I am surrounded by the strong-hearted. People like you who share our vision and whose faith in us never wavers — and a team of resilient, committed advocates who I am so proud to call my colleagues. The fight to end live export continues, and today we are one big step closer. But for now, here's to the strong-hearted. Here's to you in heartfelt gratitude for sharing our vision for a kinder world.